The Rev. Dr. William J. Barber II is the President & Sr. 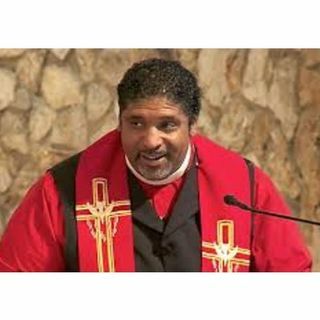 Lecturer of Repairers of the Breach, Co-Chair of the Poor People’s Campaign: A National Call For Moral Revival; Bishop with the College of Affirming Bishops and Faith Leaders; Visiting ... See More Professor at Union Theological Seminary; Pastor of Greenleaf Christian Church, Disciples of Christ in Goldsboro, North Carolina, and the author of three books: Revive Us Again: Vision and Action in Moral Organizing; The Third Reconstruction: Moral Mondays, Fusion Politics, and The Rise of a New Justice Movement; and Forward Together: A Moral Message For The Nation.